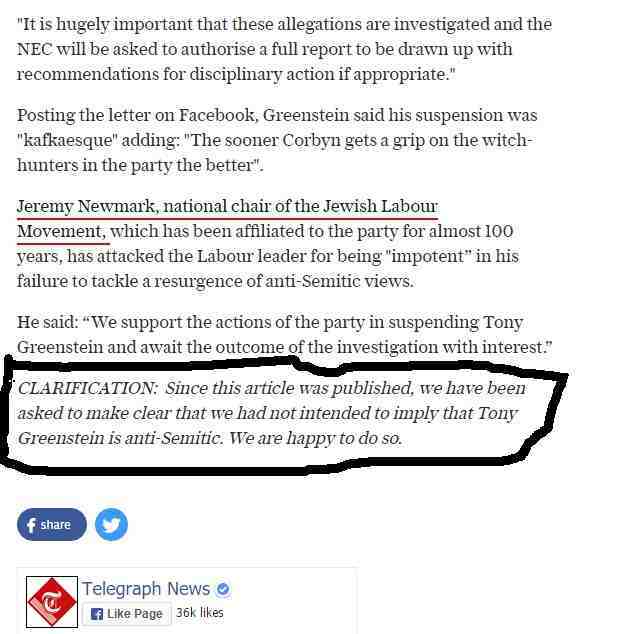 If the Labour Party Compliance Unit Can Leak Details of My Suspension to the Tory Press Why Can't They Send it to Me? 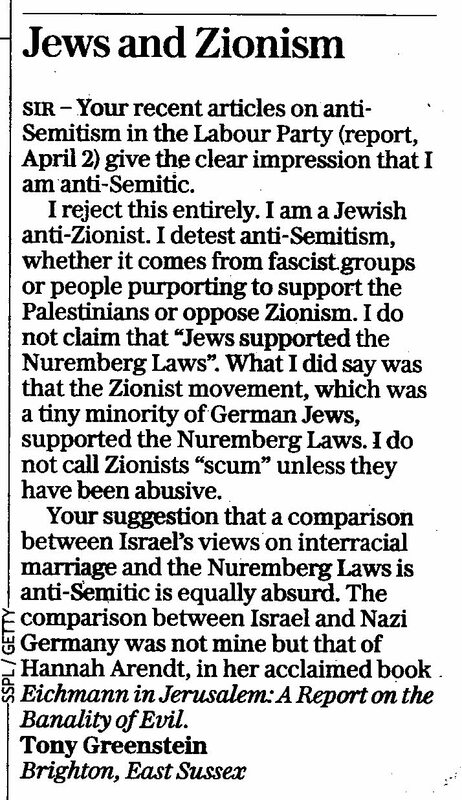 I am pleased to say that the Daily Telegraph, which on April 2nd led with the 'exclusive' that 'Activist who derides critics as 'Zionist scum' admitted to Labour in latest anti-Semitism scandal to hit Party' has now, in addition to retracting the charge itself, printed my letter refuting all suggestions that I am anti-Semitic. Of course I did have to make it clear that the original story was defamatory and if necessary, m'learned friends might wish to take this further! 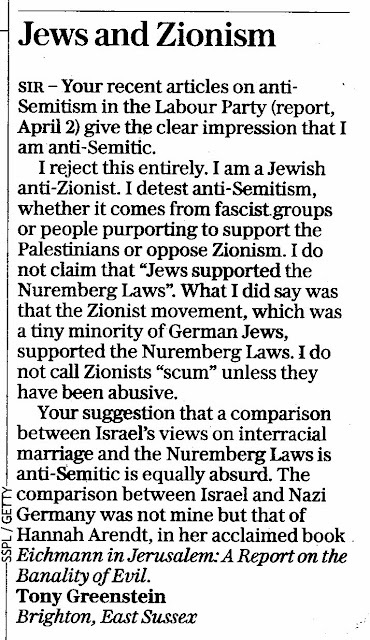 It will be interesting to see if the Witch-hunting (Compliance) Unit of the Labour Party will now release the 'evidence' as to why they believe I am anti-Semitic. 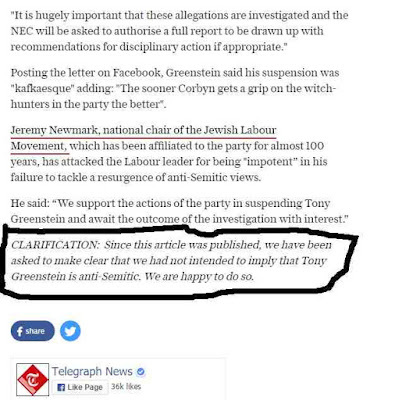 Possibly m'learned friends will have to help them in that task too, since they don't seem to be very keen on transparency in Labour Party HQ. Given that Cameron's now revealed the sordid details of his tax returns, possibly a little openess in the Labour Party would not go amiss?